Courts in New Zealand and India have granted legal personhood status to three rivers. The strange status is meant to protect the waters from pollution, but the measure could lead to unintended consequences, while undermining efforts to grant personhood status to living beings who actually deserve it. Earlier this month, a court in New Zealand declared its third longest river, the Whanganui, a person. 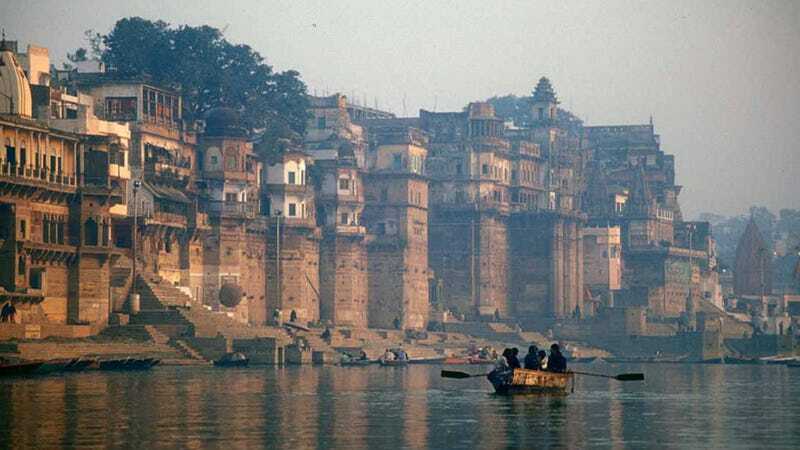 Just days later, India took similar actions, ascribing personhood status to two of its biggest and most sacred rivers, the Ganges and Yamuna. Similar to the way corporate personhood works in some countries, these rivers can now conceivably incur debts and own property, but more importantly, it means these rivers can petition courts (with the help of legal guardians, of course) to protect themselves from pollution and misuse. This is undoubtedly a noble cause, but by granting personhood status to something that is so clearly not a bonafide person, the courts have set both New Zealand and India down a path where literally anything could be afforded the same incongruous status. What’s more, the acts diminish what it means to be an actual person—a conscious, self-reflective, and emotional being—while at the same time undermining efforts to endow those who are truly deserving of this special status. Declaring a river a person sounds wacky, but conservationists say the unconventional measure will work to protect critical bodies of water—and conceivably other natural resources—from environmental abuse. The New Zealand decision was not without precedent; three years ago, the country declared Te Urewera, a forested national park, a person. Bolivia and Ecuador have passed legislation granting all nature equal rights to humans, while some jurisdictions in North America are considering similar measures. Within a week, India’s courts came to a similar decision, making reference to the recent court case in New Zealand. The courts assigned “legal parents” to protect and conserve the two rivers. Under the new law, the river’s guardians are not required to prove that polluted waters are harming humans—they only need to show that the water has been contaminated beyond safe levels. Only time will tell if these measures will have the desired protective effect, or if this “nature as persons” idea will gain traction elsewhere. Regardless, there are reasons to be troubled by this. First of all, rivers aren’t actually persons. At least not in the literal sense. This development is reminiscent of the so-called “legal fiction” involved in corporate personhood, a deliberate hallucination that’s meant to uphold the rights of groups and to smooth business processes. Like corporate personhood, the notion that lifeless natural objects are persons could lead to some strange and undesirable outcomes. For example, if some rivers are persons, what’s to prevent all rivers from being declared persons? And if all rivers are persons, how do we start to differentiate one inanimate object from another in this regard? It’s a slippery slope to literally anything being granted personhood status, so long as someone believes it has value. At what point do we stop? Are forests persons, or individual trees? What about rocks? The atmosphere? Robots that lack self-awareness? Another problem is that true legal persons, like you and me, deserve specific sets of freedoms and protections. The needs of rivers and trees are objectively different from the needs of actual people. Rivers are objects and not subjects, although they do need to be kept clean and safe. Issues of bodily autonomy, or the right to vote, are completely irrelevant to a body of water. Instead of referring to rivers as persons, a better idea would be to develop standards that are specific to the resources being protected. Environmentalists and lawmakers should be writing legislation that’s innovative, effective, enforceable, and specific to the object being protected, while instilling an ethos that decries the desecration of the natural world. The measures taken in New Zealand and India also undermine ongoing efforts to grant personhood status to a select group of nonhumans. The IEET’s Rights of Nonhuman Persons Program (full disclosure: I’m the founder and director) is working to secure this special status for great apes, whales, dolphins, and elephants. These animals are special in that they exhibit advanced cognitive traits—attributes such as self-awareness, the ability to identify oneself in the mirror, a theory of other mind (i.e. the understanding that others have their own thoughts), self-control, planning for the future, concern for others, curiosity, and so on. An emerging body of scientific evidence is affirming the presence of many, if not all, of these traits in the animals proposed by the IEET. The like-minded Nonhuman Rights Project is currently awaiting a decision from a New York judge about a chimpanzee personhood case, which would liberate two chimps currently held in upstate New York in seemingly inhumane conditions. Steven Wise, who heads the group, is arguing for habeas corpus, that is, the right to bodily autonomy. His argument is that chimps are mentally and emotionally sophisticated enough to warrant this privilege, and that they, like humans, should be immune to confinement and experimentation. Designating rivers as persons detracts from these seemingly related efforts. The arguments are fundamentally different, as are the objects/subjects in question. Advocates of animal personhood take great pains to point out the remarkable cognitive and emotional capacities of animals, while conservationists are simply trying to pull off a clever legal trick. Over time, the public may become jaded about the conservationists’ efforts, and conflate the two different approaches. By declaring rivers persons, we’re diminishing what it truly means to be a person, whether that person is a human, an animal, or even a sentient robot (eventually). Persons, by definition, are self-aware, emotional creatures with a sense of the past and the future. And perhaps most importantly, they can suffer. Inanimate objects can’t do any of these things, and we shouldn’t pretend otherwise—even if doing so works to protect our precious natural world. When does an animal count as a person?